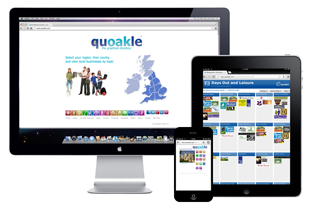 Quoakle’s Website Directory for England and Wales has been online since September 2006 and gives our users a unique search experience … free content, refreshingly simple page layout and relevant advertising links to help you find the businesses and services you are looking for, quickly and easily. On our UK Directory you will find everything from Chinese Restaurants to Vets and from Wedding Photographers to Days Out activities. All of the links on the UK Directory go directly to relevant local websites offering the services you need.